More often than not, we’ve all heard a podcast, or of a podcast. Maybe it was This American Life, or TED Talks, or the Nerdist. There are hundreds of them out there, and they’re becoming more popular by the day. They discuss a range of topics, including science, culture, music, art, odd news, normal news and more. And then there’s Welcome to Night Vale. Welcome to Night Vale is a twice-monthly Commonplace Books podcast by Joseph Fink and Jeffrey Cranor. They based the show off works of H.P. Lovecraft, David Lynch, and the stuff of Orson Welles. Much like any other local radio station, it discusses community updates within the small fictional desert town of Night Vale, including notable news and upcoming events, traffic, announcements from local officials, and–my personal favorite–the weather. Although, unlike any other local radio station, it also discusses mysterious glowing lights in the night sky, talking forests, the local cult of boy scouts, an undergound city beneath the bowling alley, the mayorial race between the faceless old woman that lives in your home and a five-headed dragon named Hiram McDaniels, and school board headed by a ominous glow cloud that rains small animals. 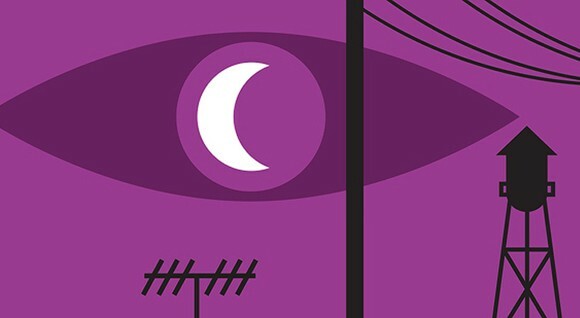 To sum it up, It’s essentially “NPR from the Twilight Zone.” Take any conspiracy theory you’ve ever heard of and throw ’em all into one little town–that’s Night Vale. It mixes average everyday occurences, like the local high school’s upcoming football game, with things like one of the quarterbacks growing a second head that speaks Spanish. It presents the listeners what they often don’t think about, or admit to be afraid of: the unknown, much like most of H.P. Lovecraft’s creations. What sets it apart from the Twilight Zone or Lake Wobegon is how nochalantly the citizens treat these odd and sometimes nightmarish occurances. They’re as normal as paying taxes, or taking the dog out for a walk. (But remember, never to the Dog Park) It somehow makes the show more interesting and gives it some charm that other podcasts don’t have. They even have a Twitter. And it’s amazing. The show is hosted by Cecil Baldwin, and as far as we know, he is the radio station’s only host. Every couple of episodes, he’ll mention a station intern, but they’re usually killed off by something strange by the end of the episode. (except for Dana, and we’re all dying to know what happened to Dana) Most of the time, Cecil’s voice is the only one you’ll hear, with the occasional appearences of Cecil’s boyfriend Carlos, the faceless old woman that lives in your home, Hiram McDaniels, Cecil’s counterpart Kevin, and the unholy spine tingling sound that is Khoshekh the floating cat’s meow. Cecil is known for his soothing voice, with the ability to put a listener to sleep if you’re laying down, and his odd yet endearing mood changes. He can go from friendly, calm, journalistic Cecil, to possessed, other-worldy power Cecil, to ‘talks like a valley girl because someone mentioned either Carlos or cats’ Cecil. The show started in June of 2012, but really wasn’t discovered until a little under a year ago. And when it was discovered…boy, did it blow up. Literally, it just came out of nowhere. 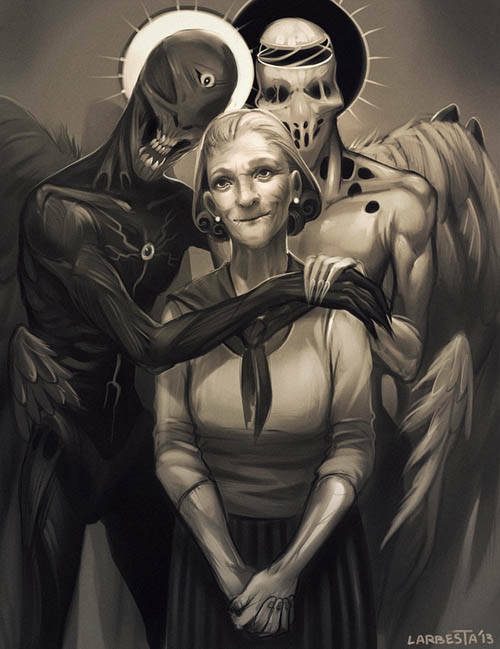 Within a week or so, websites like Tumblr and Twitter were swarmed with fanart and other creations, like everyone was just waiting beneath the floorboards. 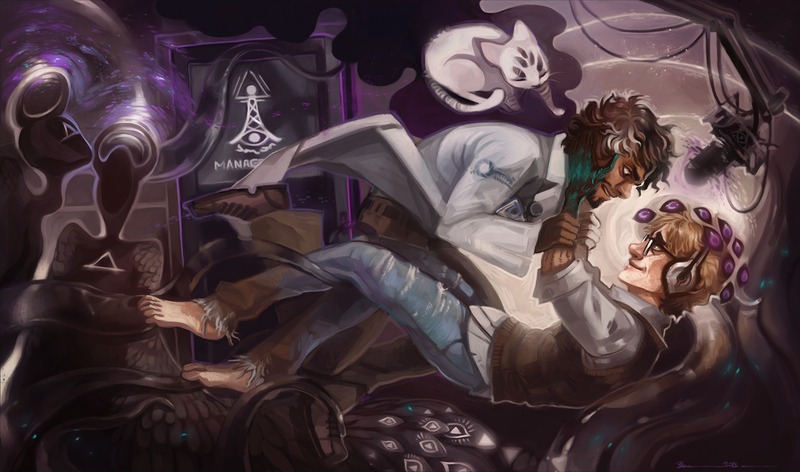 But, if I might say, the Welcome to Night Vale fandom has put out some of the most stunning fanart I’ve ever seen. But beware: the show is extremely addictive, and once you start listening, you can’t stop listening. Unless you have extremely strong willpower. 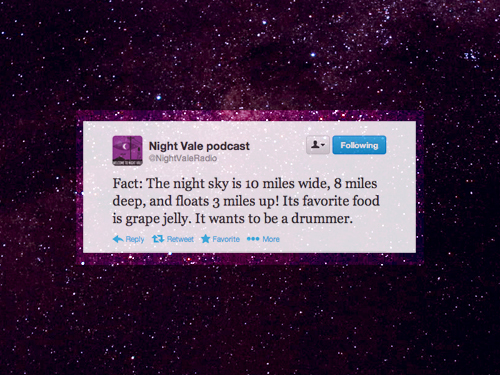 Welcome to Night Vale is an extremely creative and fun podcast with a deep, imaginative world. Even if you can’t see that world, because it’s a podcast. But that’s the magic about it; the show is so creative with its language and imagery that the world the listener pictures is extremely immense and beautiful. That’s why the fanart is so fun. It’s everybody’s personal interpretation, and no one can get shamed because none of them are right–or wrong. 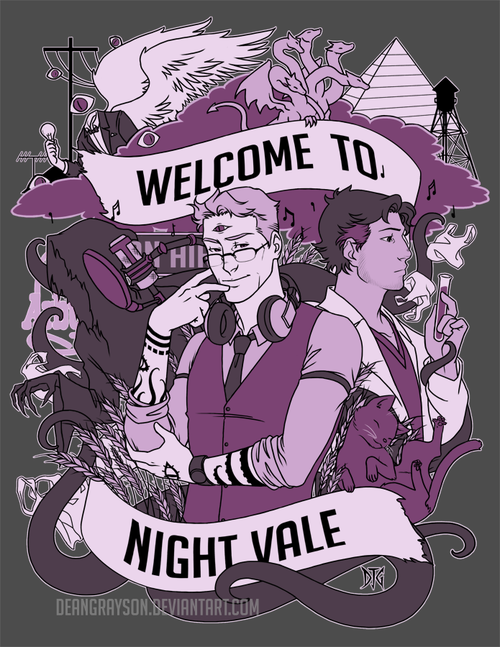 If you’re looking for a new podcast to listen to, try Welcome to Night Vale, and join the hoard of people that have made it the one of the most popular podcasts in America. 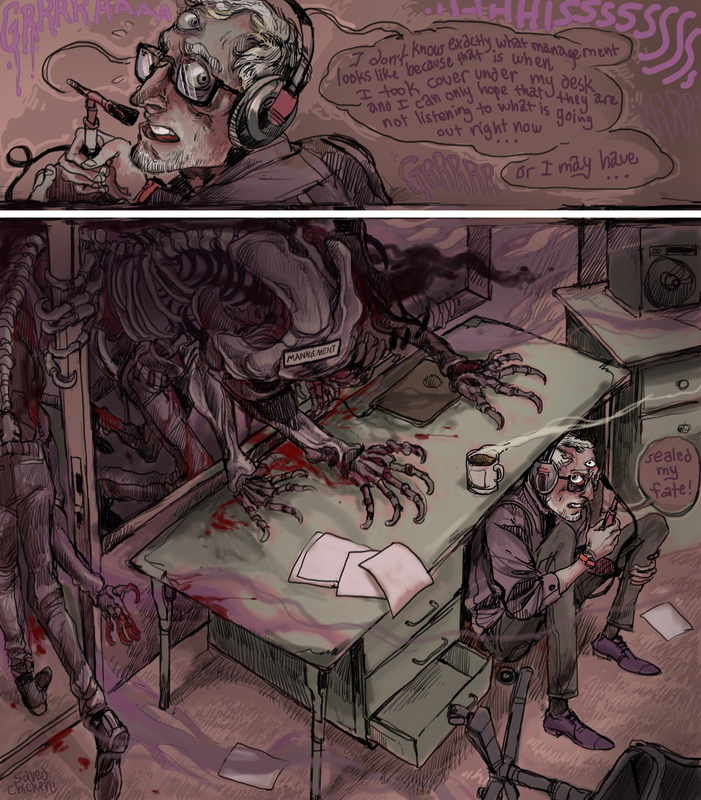 This entry was tagged Carlos, Cecil Baldwin, Commonplace Books, David Lynch, H. P. Lovecraft, Jeffrey Cranor, Joseph Fink, Lake Wobegon, Night Vale, Orson Welles, podcasts, Welcome to Night Vale. Bookmark the permalink.